Welcome To Reversible Fan Center! 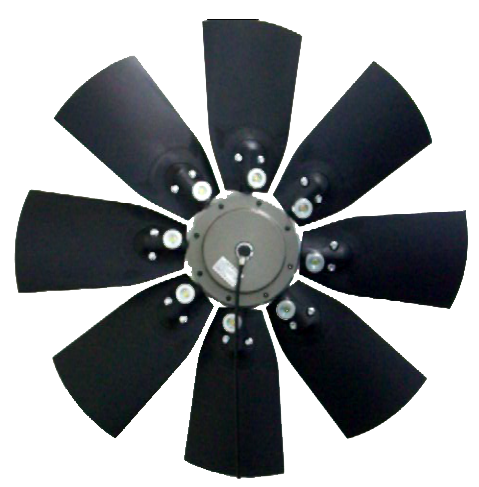 Reversible Fan Center works with FLEXXAIRE, the leading manufacturer of reversible engine cooling fans. FLEXXAIRE keeps your radiators and coolers clean of debris. We are the company that keeps equipment running in dirty, dusty, or debris-filled environments. If engine overheating is a constant concern due to the radiator or coolers being plugged with airborne debris, Reversible Fan Center can help you. We believe in our slogan, No More Clogged Radiators. If you need to blow out your radiator to keep your equipment from overheating, Reversible Fan Center has the cure. We want to work with you to better understand your industry and equipment needs. We want to know where your machine goes and the problems you're having keeping your radiators or coolers clean of airborne debris. Then we want to provide you the best solution possible to keep your radiators clean. Reversible Fan Center's main product is the Flexxaire reversible fan system. This fan has been available for twenty years and has been subjected to numerous improvements, making it the best solution for equipment owners who are experiencing clogged radiator issues. When you work with Reversible Fan Center, you can be confident that you will get a solution that keeps downtime to a minimum. Keeping equipment working equals profit to our customers. Sealed fan hub so no internal maintenance is required. High quality synthetic lube keeps all internal components lubricated. O-rings seals on all crucial surfaces keep lubricant inside and dirt and contaminants outside. High quality alloys is used for all fan hub components. High-strength composite material is used to make the fan blades. Rotary union cartridges can be changed with ease. No engine power drop or surge when fan reverses air flow. The FLEXXAIRE® fan provides advanced cooling, by keeping your radiator free and clear of debris. This keeps your engines cooling system operating at peak efficiency. The FLEXXAIRE fan is able to do this through the utilization of reversible fan blades, which allow the fan to change from sucking air through the radiator to blowing it back out. After the cleaning mode, the fan automatically returns to the cooling mode. All this happens while the engine is running at any RPM. The system is programmable, which allows one to determine how often the fan will automatically purge. Cleanfix Fans, CleanFix Reversible engine fans are a competitor product to FLEXXAIRE Fans. CleanFix radiaor fans are reversible as well.